Dr Rebecca Johnson is executive director of the Acronym Institute for Disarmament Diplomacy and founding president of the International Campaign to Abolish Nuclear Weapons (ICAN, 2017 Nobel Peace Laureate) in Geneva. Since Acronym's journal "Disarmament Diplomacy" closed in 2009, Dr Johnson's publications have included "Unfinished Business", based on her PhD from LSE on multilateral diplomacy and the CTBT, and numerous academic analyses on nonproliferation, disarmament, and humanitarian strategies to ban nuclear weapons, including the Oxford Handbook of Modern Diplomacy and over 50 articles on openDemocracy. More detail on her writings and activism over four decades of feminist peace activism are provided below. Rebecca's work for the Acronym Institute prioritises nuclear disarmament and security, in which she has particular expertise relating to nuclear technologies, treaties such as the CTBT and the Non-Proliferation Treaty (NPT), and verification. But she combines this with voluntary organising for justice and peace in every area of her life. In addition to lectures and educational work with Acronym, she serves on the International Panel on Fissile Materials (IPFM) and International Steering Group (ISG) of the International Campaign to Abolish Nuclear Weapons (ICAN), following several years as ICAN Co-Chair and first President of ICAN Europe-Middle-East-Africa (EMEA), established in Geneva in 2011, with the aim of creating conditions for a global nuclear prohibition treaty to be negotiated and implemented. On behalf of Acronym, Rebecca collaborates with the Campaign for Nuclear Disarmament (CND), Medact and Article 36 in managing ICAN-UK, most recently launching a new "Nukes of Hazard" campaign to raise awareness of the safety and security risks of Britain's nuclear convoys, which carry Trident warheads between the Atomic Weapons Establishments (AWE) at Aldermaston and Burghfield (west of London) to the deployment bases in Scotland at Faslane and Coulport (north of Glasgow). She has contributed to various studies undertaken by parliamentary committees in the UK and European Parliament on defence and foreign affairs, and represented the Green Party of England and Wales (GPEW) in security and defence debates before the 2015 General Election. Rebecca's many analyses, reports, articles and books since the 1980s have focussed mainly on diplomatic efforts through the UN and various treaties to promote disarmament and peace. Her extensive analyses on the NPT, Conference on Disarmament, UN First Committee and British nuclear policy from 1994 are available via the Acronym Institute website, either archives or current, including reporting from Nuclear Proliferation News and Disarmament Diplomacy, and various articles published by the Bulletin of the Atomic Scientists, Arms Control Association or academic journals. While providing contemporaneous analyses from negotiations, Rebecca's writings have also highlighted the strategies and roles undertaken by civil society to build peace and tackle violence in our lives and nations. Her book on civil society and government strategies to achieve the CTBT, titled Unfinished Business, was published in May 2009 by the UN Institute for Disarmament Research. Her most recent books are Trident and International Law, co-edited with Angie Zelter (Luath Press, 2011), and Decline or Transform: Nuclear disarmament and security beyond the NPT review process (with John Borrie and Tim Caughley, Acronym Institute, London 2012). She has been a featured writer for openDemocracy since 2010, and commentator on nuclear issues for various media, including CNN and the BBC. Prior to developing the Acronym Institute, Rebecca coordinated Greenpeace International's campaigns on nuclear testing and plutonium from 1988-92, as well as doing 6 month stints as an emergency planning officer for a London Nuclear Free Zone Council, and another six months as a nuclear test ban campaigner for Medact. During the 1980s she was best known for living at the Greenham Common Women's Peace Camp during its most crucial campaigning period, from 1982-87, where she was an organiser and participant in many of Greenham's most influential actions, including "Embrace the Base" (December 1982), "Dancing on the Silos" (January 1983), the "Greenham Women versus Cruise" legal action in the United States (November 1983), "Occupying the Air Traffic Control Tower" (December 1983). In addition, she engaged in protest actions against cluster munitions at RAF/USAF Welford (1986), and many other awareness-raising activities with Greenham, Cruisewatch, Women Working for a Nuclear Free and Independent Pacific (WWNFIP), and Nukewatch. She co-founded the Aldermaston Women's Peace Camp(aign) in 1985 to protest against UK weapons research, and more recently co-organised Action AWE (Atomic Weapons Eradication) and Faslane 365 to expose the risks to national and international peace, safety and security posed by the UK's continuing production and deployment of Trident nuclear weapons. Since 2010, Rebecca was made a CND Vice President and Fellow of the Royal Society of Arts (FRSA), in recognition of her years of voluntary and professional work for disarmament, peace and women's rights and justice. 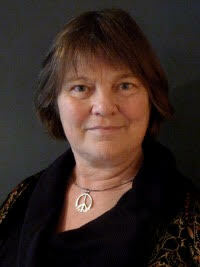 In parallel with her professional work and grassroots activism on disarmament issues, Rebecca has campaigned for many decades to promote nonviolent approaches for women, peace and security, as illustrated in the first two essays published in her name: "Alice Through the Fence", in Nuclear Weapons, the Peace Movement and the Law, published by Macmillan Press in 1986; and in a 1988 book of essays edited by Amanda Sebestyen titled "68, 78, 88: from Women's Liberation to Feminism". Addressing feminist perspectives on peace and nonviolence in theory and practice, these early reflections illustrated the core concerns that have dominated Rebecca's life and work for the past four decades, including through the Acronym Institute. Though best known internationally for her Acronym-related work on disarmament negotiations and treaties, Rebecca's long record of feminist peace-building was highlighted in the British Library's recent commemoration of UK-based contributors to women's liberation and rights "Sisterhood and After". Parallelling her campaigns for peace and disarmament, she stood in the 1983 General Election as a peace candidate for "Women for Life on Earth", and has continued to promote equality, opportunities and rights for women through campaigns opposing gender-based violence, such as Million Women Rise, and the priority she gives to creating safer, harassment-free spaces and working conditions, as well as involving and mentoring young women to gain confidence and skills to contribute more fully in peace-building and security efforts around the world. After volunteering with Women's Aid to Former Yugoslavia, driving aid trucks to support women, peace activists and refugees during the wars of 1991-99, Rebecca co-founded the "Women Against Warcrimes" campaign in the UK, which soon after changed its name to "Women in Black", holding weekly peace vigils in London, as part of the growing international Women in Black movement, which continues today to campaign for justice, against violence and war around the world. Most recently, Rebecca served as one of eight jurors for the 2015 World Court of Women held in Bangalore, India, organised by Vimochana Women's Rights Forum in conjunction with the International Gathering of Women in Black. 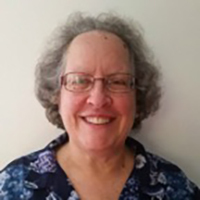 Rebecca is also a member of the Women’s International League for Peace and Freedom (WILPF) and the women’s advisory group for the International Action Network on Small Arms (IANSA). Previous professional and voluntary roles include coordinating the influential grassroots Faslane365 campaign in Scotland during 2006-07 and serving on the Scottish Government’s Working Group on Nuclear Weapons. Prior to this she was Senior Advisor for the International Weapons of Mass Destruction Commission (Blix Commission, 2004-2006) and Vice Chair of the Board of the Bulletin of the Atomic Scientists (2001-7). She periodically advises governments, international institutions and civil society organisations, including the United Nations, the European Parliament, theNobel Women's Initiative, the Interaction Council, as well as advising several NGOs ranging from the Center for Policy Studies (PIR Moscow) to Mayors for Peace. Dr. Natalie Goldring is a Senior Fellow and an Adjunct Full Professor in the Security Studies Program at Georgetown University, and a Visiting Professor of the Practice in the Sanford School of Public Policy at Duke University. She is also a member of the core leadership team for the International Action Network on Small Arms, developing strategy and writing briefing papers for international meetings on the Programme of Action on Small Arms and Light Weapons. She has written extensively on small arms and light weapons, the international arms trade, and nuclear nonproliferation and disarmament.